The Milwaukee® M12 CIW38-202C Fuel Compact Impact Wrench has 2 modes to cover a number of applications: Mode 1 (0-1,200 rpm, 23Nm torque) is ideal for precision work, whereas Mode 2 (0-2,650rpm, 158Nm torque) delivers maximum performance for the toughest applications. The Milwaukee® DRIVE CONTROL™ allows the user to shift into different speed and torque settings to maximise application versatility. It has a bright LED light to illuminate the workspace. 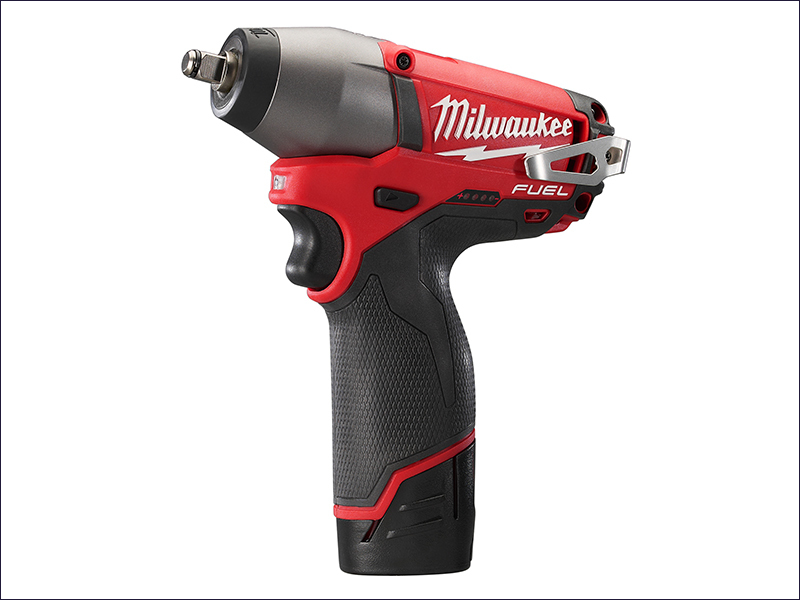 The Milwaukee® M12 Fuel Power Tools are designed to out-perform other heavy-duty power tools. They have POWERSTATE™ brushless motors for up to 10 times longer motor life. Their REDLITHIUM-ION™ battery packs are highly durable and feature a fuel gauge to display the remaining charge. Individual cell monitoring in the battery optimises tool run time. The M12 Fuel power tools feature REDLINK PLUS™ intelligence, providing total system communication with overload protection to increase the tool's life. Max torque: 23 / 158 Nm. Tool reception: 3/8 inch Drive. Naked, no battery or charger supplied.